This Peanut Butter Ritz Bits Toffee is a super tasty dessert that’s perfect for any occasion. 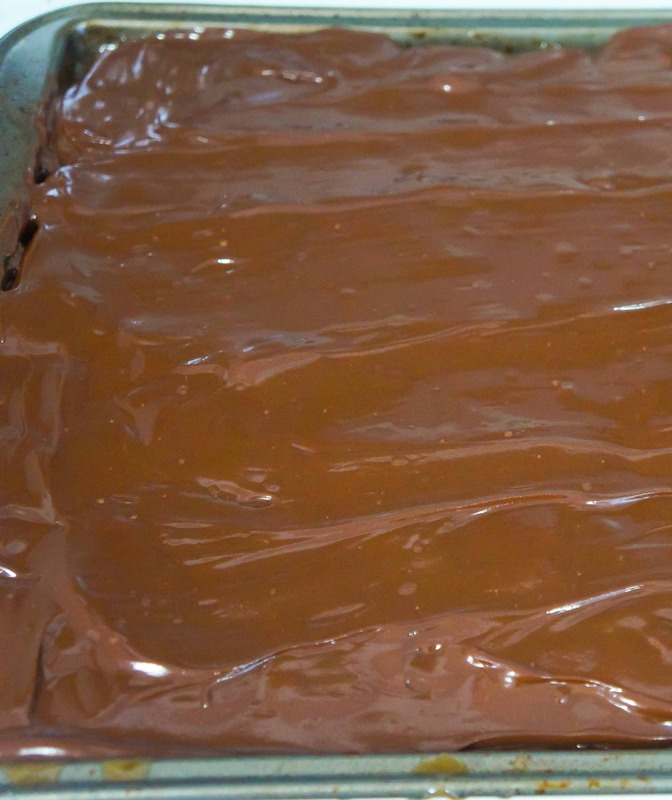 The toffee only takes about twenty five minutes to make and then an hour to set. 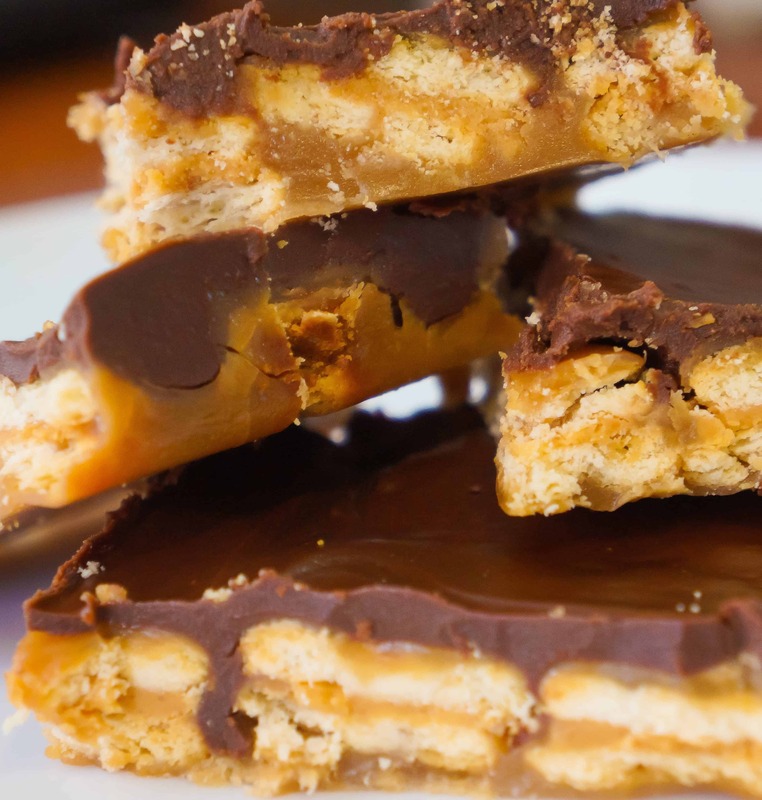 This recipe is inspired by the classic toffee candy made with saltines. 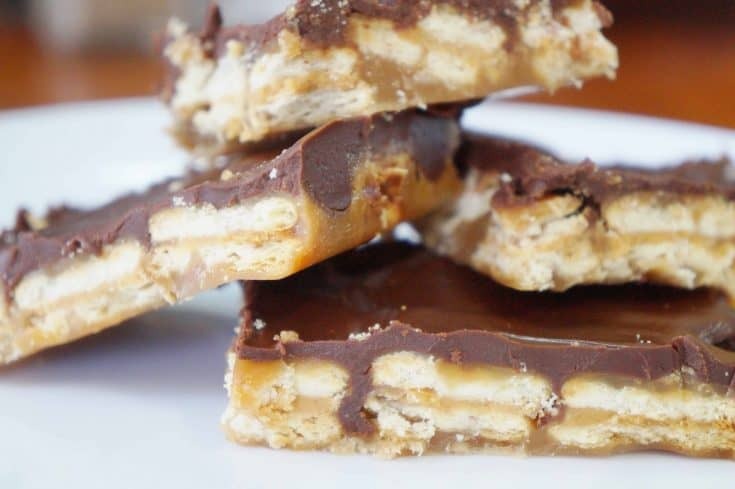 I love saltine toffee but I figured it would be even better if I swapped the saltines out and used my favourite childhood snack, peanut butter Ritz sandwiches, in their place. I started by arranging the Ritz Bits crackers in a single layer on a cookie sheet. Then I combined some brown sugar and butter in a saucepan and brought them to a boil. After the mixture boiled for a few minutes it was poured over the crackers on the cookie sheet. I tried to coat the crackers as evenly as possible. 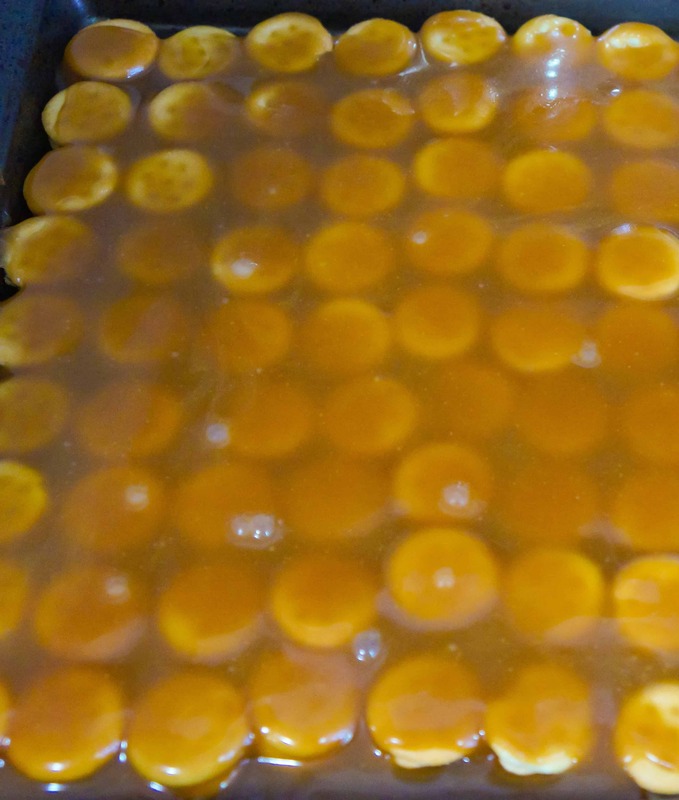 The toffee was baked for six minutes and then removed from the oven to cool. While the toffee was cooling I melted some butter and chocolate chips in a saucepan and stirred until smooth. The melted chocolate was poured over the toffee and spread evenly. The toffee was then placed in the fridge for an hour to set. After the toffee was set I cut it into the desired sized pieces and served. This recipe is quick and easy and I was very pleased with the result. These treats definitely did not last long in my house! I love the subtle peanut butter flavour with the sweetness of the toffee. 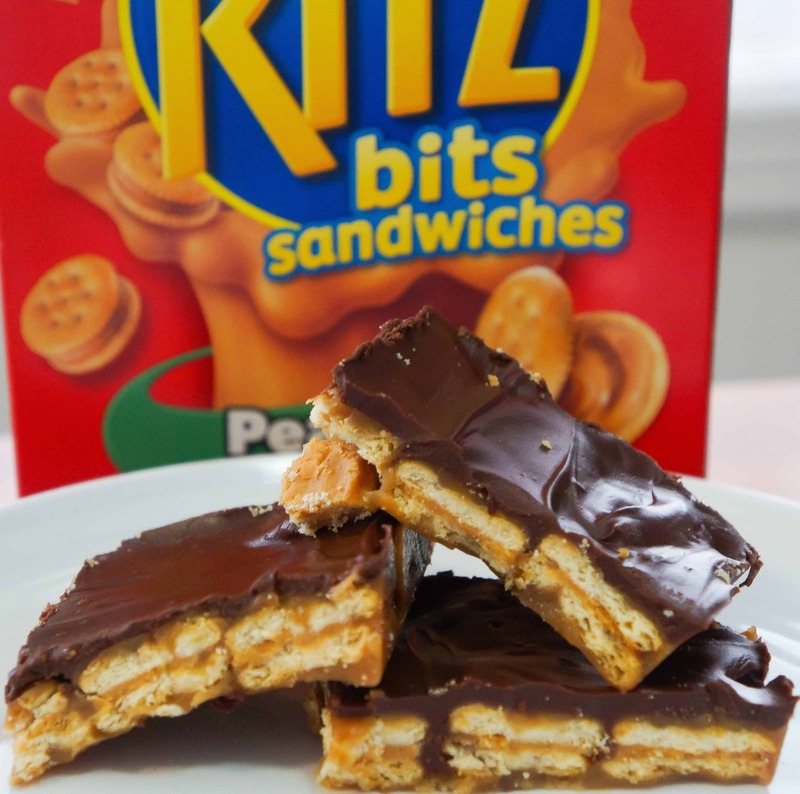 Try this Peanut Butter Ritz Bits Toffee the next time you are looking for a delicious dessert recipe. If your are looking for more easy dessert recipes check out Peanut Butter S’mores Cookie Cups, Caramel Chocolate Cream Cheese Stuffed Cookies, Sour Cherry Blondies, Reese’s Pieces Cream Cheese Brownies and Easy Chocolate Peanut Butter Fudge. Another delicious chocolate and peanut butter recipe. 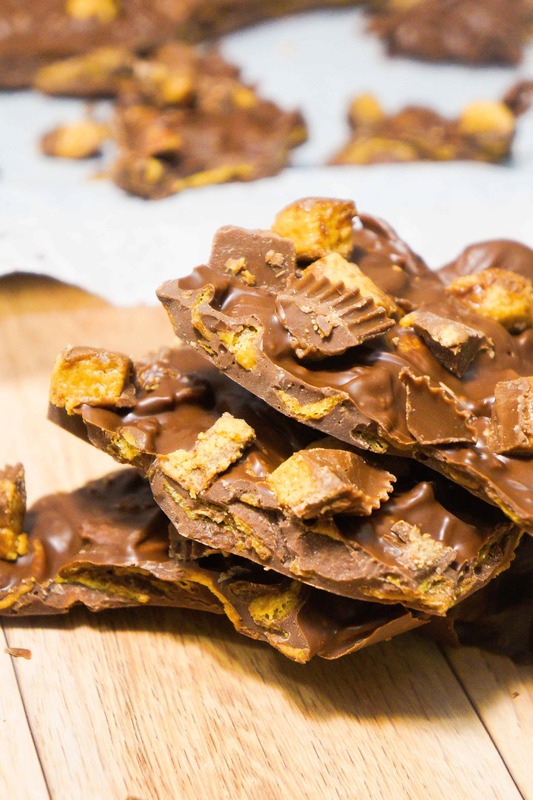 Check out this Fritos Peanut Butter Cup Bark! 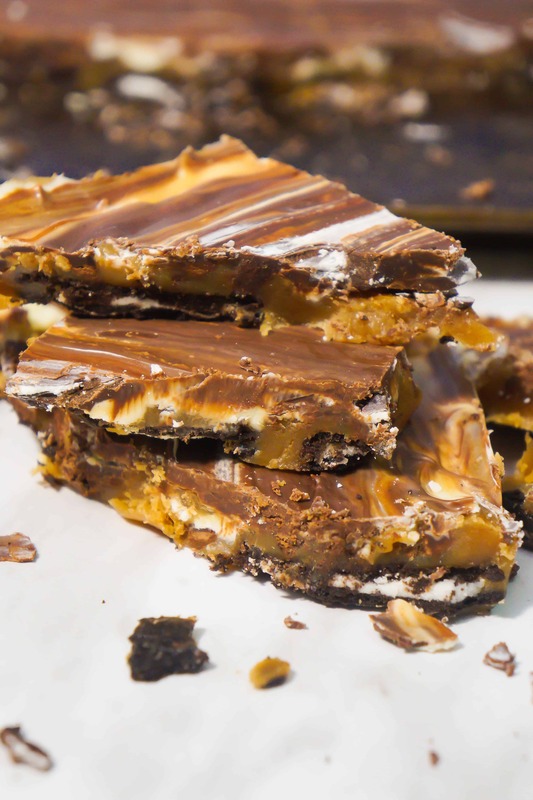 Be sure to also check out these Chocolate Caramel Oreo Bars! Peanut Butter Rice Krispie Treats are the perfect dessert for peanut butter lovers! 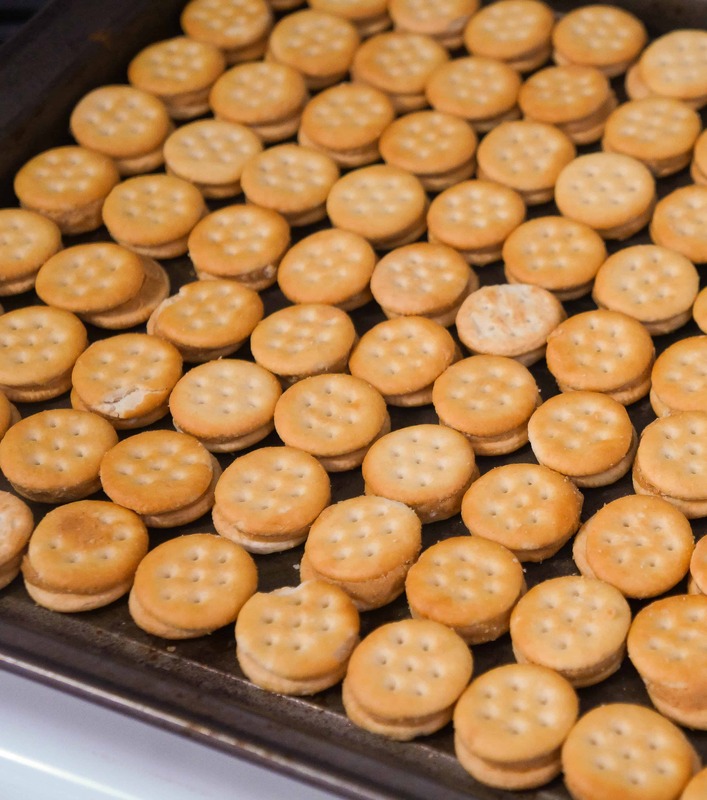 Arrange crackers in a single layer on a cookie sheet. Combine the sugar with 1 1/2 cups butter in a saucepan. Bring to a boil and then allow to boil 3 1/2 minutes without stirring. Pour the mixture over the crackers immediately being sure to cover all of them. Bake for 6 minutes and remove from oven. While the toffee is cooling melt 2 tbsp of butter in a saucepan on medium low. Add chocolate chips and stir until melted. Pour chocolate over the toffee and spread evenly. Refrigerate for an hour and then cut into desired sized pieces.